JUMAG DAMPFERZEUGER GMBH, Tinichigerie, Schimbatoare de caldura, Steam boiler, pe EUROPAGES. JUMAG – the steam generator with a DIFFERENCE. 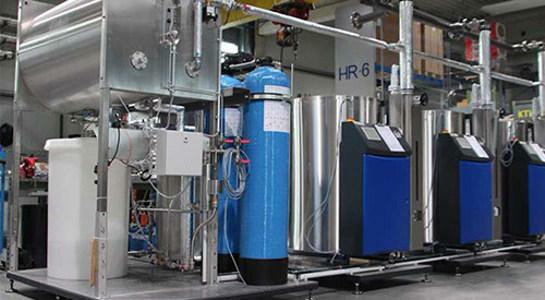 The requirements of an economic steam supply with simple operation and high availability are met by the products of Jumag Dampferzeuger GmbH in Germany. 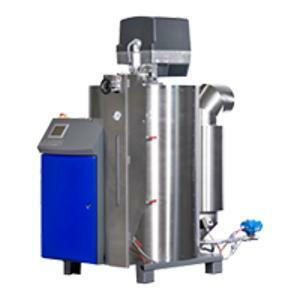 For over 35 years, JUMAG has been developing, producing and selling oil- and gas-powered steam generators which combine the benefits of the water space three-pass boiler, known to be robust and reliable, with those of an energy- and space-saving as well as cost-effective high-speed steam generator. Jumag offers a harmonised complete system made from highly energy-efficient steam generators, economisers, drinking water tanks and blow down containers for a steam generation performance of between 80 kg/h and 1060 kg/h per unit and up to 3.2 t/h with multiple systems. JUMAG also intensively supports you in selecting the correct system components and adapting it to your requirements and processes.